Virginia is a state in the southeastern part of the United States. Its borders stretch from the Chesapeake Bay to the Appalachian Mountains. Whether you need vehicle transport services to or from one of the beach or mountain towns, enlist the help of National Dispatch. Virginia is not only home to a mix of terrain. It is also where some of the nation’s top colleges are located, as well as the world’s largest naval base. Therefore, vehicle transport services may prove beneficial when heading to college, moving for the military, vacationing, and more. Visit Virginia. Do your research. Research the auto transport company to ensure that they are insured, licensed, and bonded. Read reviews from customers who have worked with the company before. Learn more about finding a reputable auto shipping company. Request a quote. Obtain a car shipping quote from the company to find out how much transport will cost you. Beware of low quotes. Often times, prices way below the industry standard are too good to be true. Learn more about car transport rates. Door-to-door auto transport: This service provides added convenience by having our driver come directly to your home or place of business for pick-up and delivery. Open auto shipping: The car will be shipped via an open-air carrier, capable of hauling up to nine vehicles. It is a quick, cost-effective shipping method. Enclosed auto shipping: The vehicle will be transported via an enclosed carrier, protecting it from weather and other elements. Non-running vehicle transport: Having an inoperable car is no problem for our auto transport experts. Let us know ahead of time, so that we can prepare with the appropriate equipment. Prepare your vehicle. It is important to prepare your car for shipment to avoid any added fees. This includes keeping the gas tank to 1/4 full and removing all personal belongings from the vehicle. Learn more about how to prepare a car for auto transport. Are you thinking about moving to Virginia? 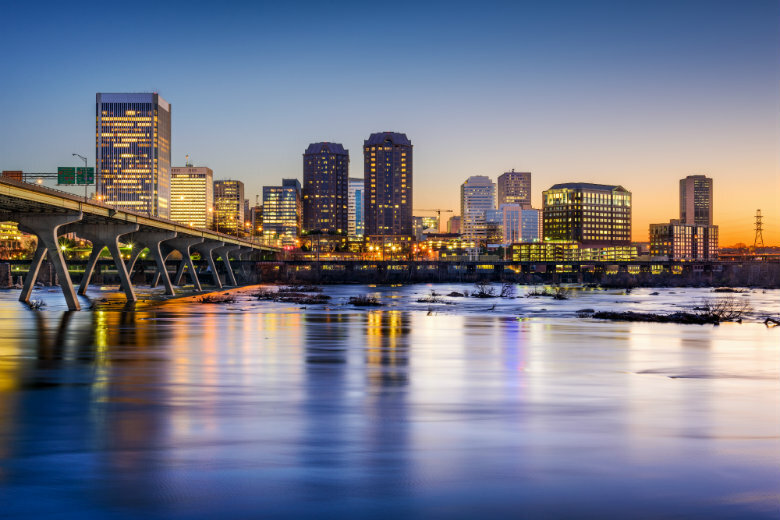 Learn about the major cities in the state to get a feel for what Virginia has to offer. There is a lot to love about the state. 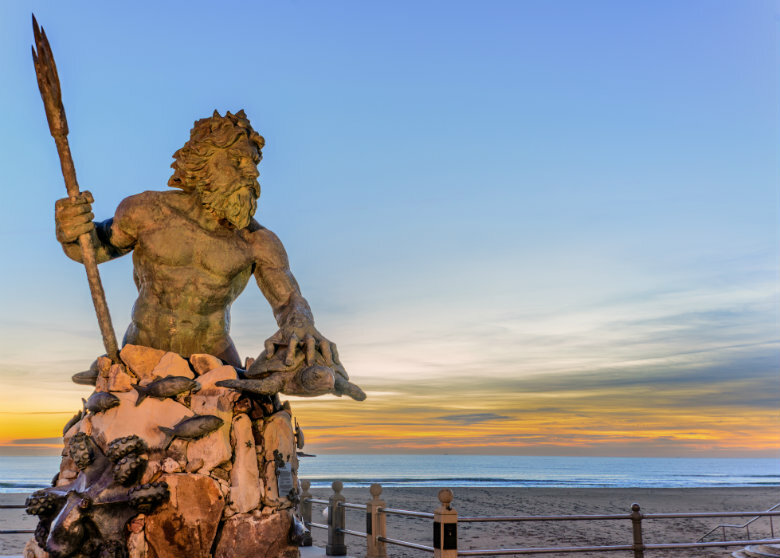 Virginia Beach, the state’s largest city, is a popular tourist destination due to its many family-friendly beaches. Although it is the biggest city in the state, it is not the state’s capital. You do not have to worry about finding a job, getting your child an education, or feeling safe. The community’s unemployment rate is below the nation’s average. There are numerous top-rated public and private school options in the area. In addition, the crime rate is well below the nation’s average. Some of the most popular activities to do for locals and visitors are surfing, kayaking, canoeing, paddle boarding, jet-skiing, parasailing, boating, and fishing. Read more on Virginia Beach. Norfolk is known for being home to the largest Navy base in the United States, Naval Station Norfolk. It is an important port city, because it connects both the Chesapeake Bay and Elizabeth River. The city provides its residents with many opportunities to work and play. There are plenty of places to shop, dine, and seek entertainment. Attend a festival at Town Point Park, watch a movie at Naro Cinema, or watch a baseball game at Harbor Park. Norfolk provides is a city that provides numerous job opportunities for people in a variety of fields, including real estate, law, medicine, and banking. Just a short ten to fifteen minute drive away from Norfolk lies Chesapeake. Chesapeake is a quaint, historic city filled with charm. If you are a nature-lover, the Chesapeake Arboretum is for you. It is made up of two acres of gardens, 48 acres of woodlands, and over 1.5 miles of trails. At Northwest River Park, there are also opportunities to camp, picnic, bike, hike, jog, and enjoy water activities. Chesapeake is not very far from its neighbors, Suffolk, Norfolk, Virginia Beach, Newport News, and Hampton. These can be easily reached by hopping on the highway. Due to its proximity to the ocean, the city hosts a seafood festival. Richmond is Virginia’s capital. It is home to the state’s legislative offices, as well as other historic landmarks. The James River Park System is an astonishing beauty, covering over 550 acres of shorelines and islands. You can shop, dine, or take a river cruise of the town. If you are a recent high school graduate, there are locations in Richmond to further your education. You can attend the University of Richmond or Virginia Commonwealth University. Both have excellent campuses and programs. Upon graduating, you won’t have a problem finding a job. Although Richmond has hosts many advertising and biotech companies, there are other industries represented, as well. Newport News has a strong military presence, with Army, Navy, and Air Force bases in or around the area. It is a family-friendly community, offering some of the best schools in the United States. Be sure to check out the Newport News Park, which features a field for flying model airplanes. You also do not want to miss out on the farmers’ markets or the Mariners Museums, which displays thousands of artifacts from the Civil War. If you have children, take them to the annual Newport News Children’s Festival of Friends. Learn more about Newport News. If you are in need of vehicle transport services to or from Virginia, contact National Dispatch. We offer a free, instant vehicle transport rate on our website. No personal information is required. We aim to make the process of shipping a car as simple as possible. If you prefer to speak with one of our auto transport experts, call us at 800-321-2051.